As an Asian-American-owned company competing within markets that largely manufacture products throughout Southeast Asia, our heritage uniquely positions us as a preeminent brand and trusted supplier within the global PPE industry. For nearly three decades, we have developed a proven, sophisticated Global Supply Chain model built upon vertical integration to drive leading performance while optimizing efficiency and effectiveness. Our Global Supply Chain Management safeguards our commitment to the integrity of our product quality and uninterrupted supply, with the control and flexibility needed to deliver consistent excellence and value in an evolving global marketplace. We select and source the highest-quality raw materials available to drive the high performance and protection levels offered by our products, which are meticulously crafted within our state-of-the-art manufacturing facilities. Our facilities are ISO-certified for manufacturing protocol and environmental safety with waste control, as well as being U.S. FDA-registered. We continually exceed the most stringent industry requirements in both manufacturing and performance to ensure Tronex products are safe and reliable. We adeptly plan production amongst our network of manufacturing facilities to ensure supply. Each component of our manufacturing and delivery model is aligned by dedicated teams working in unison both overseas and within the U.S., including Product R&D, Quality Assurance, Regulatory, Inventory Planning, and Global Logistics. 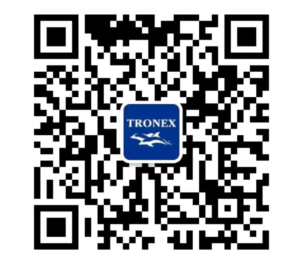 Tronex has a proud history of continuously developing new, innovative products successfully brought to market. We believe it is our responsibility as a supplier partner to share our deep understanding of global market conditions and product evolution to deliver true added-value to our cherished partnerships for long term, sustainable relationships. We position ourselves at the forefront of innovation and evolution in manufacturing technology, materials, and product line offerings through research and development.